It may seem that getting CV professionally written are unethical and it may rank low as it perhaps gives chance to candidates who have less skill upon the more skilled candidates for a job. But when you estimate the worthiness of hiring a professional to write resumes, it pays off. The professional writer creates a CV that markets a person well which otherwise becomes tedious for anyone to handle writing resumes by themselves. Job searching is a tiring work itself and if you have been searching a job and yet not received any feedback, it is time to rework on that resume! People are not practised to write resumes but thankfully there are professional writers who can help one develop a worthy resume. 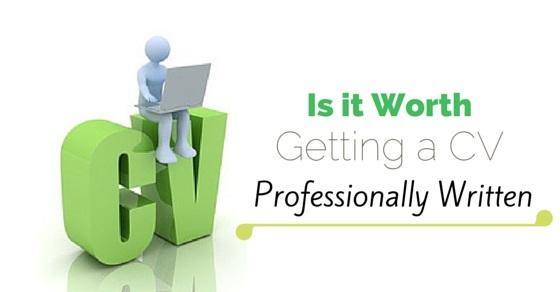 Below are some good explanations why professionally written CV are a good and worthy investment. Professionally Written CV – Why they are a good? No one really wants to hand over a resume that is poorly made. You even do not understand whether your resume proves productive until it fails to generate any interview call backs. This may cost you a fortune as the desirable opening of your choice may miss out just because your resume was not up to the mark. The process of job search is very unpredictable and success is found very little, all that one can grip well in this whole practice is the control over the resume. Optimize this feature by letting the professional handle the resume and an supplementary benefit is that professional resume writers take the stress and load of writing a CV which makes it someone else’s problem, permitting you to concentrate on better job openings available. Not everyone, except from those who are in writing field, is able to form a good word presentation. Figures and money count is your game and expressing through words regarding past work experience may not be your play. You may chronologically fail or the understanding of grammar and sentence formation fails you, a professional can help. The professional is an able one to put rights and wrongs perfectly in your resume at the same time help your resume to market you. The need of a few to be added and the few to be eliminated are all expertly fitted by the professional. To impress the hiring manager it is essential that the CV is up to date, modern and reflects today’s trend of resumes. This would show how intricately you are thinking about the whole hiring process and finding the ultimate job. To help with this the professional writer will make it easier by preparing the whole CV as persuasive as possible to the hiring manager. The extra bits to make the CV as per trend are well known by a professional who will use the templates of the current trend. The impressions that is made first at the sight of your resume should be enough to exert a pull of hiring manager’s attention. When someone says professional, quality is one of the attributes that supports the word. Similarly when it comes to professional writers they know the best regarding the quality of every single item that should be used to develop the impressive and compelling CV. For example, quality of the paper, formatting the fonts, color type of the fonts; allocation of texts and white space, grammar and spelling, active language, punctuation and persuasive language. Only when these factors are considered will the CV stand out from the rest and make it significant amongst hundreds of those other resumes. It may seem as bragging to you when it comes to accounting all the accomplishment and honours you have received. You may come across the difficulty to actually pen down the achievements and skills which should be placed in a clear line which separates conceit and modesty. To establish the clear line a need of an expert arises and here’s where the professional writer comes to play. You may turn out as worst critic of yourself and that’s where the word of a second person, moreover a professional comes in handy. When the professional writer comes across the achievements he/she will regard each with a fresh eye and contemplate it without any bias. He will be able to bring to attention the best accomplishments in a professional manner. The careers of some people are complex and intricate with issues which eventually hamper the writing process of the resume. In such cases a professional’s assistance becomes vital to find a job. Issues namely, long gap of work, maternity, retired or senior job seeker, lack of experience, lack of skills, knotty work history (if fired or dismissed) can hamper the formation of job attracting resume. The professional writer is skilled to put the blocks of your career right, construct a unique resume that overcomes all drawbacks of a career and advertises best of a career. When considering the worthiness of hiring a professional to conceptualise and make the CV, it will also become essential to even deliberate the factors influencing the hiring manager. It reflects on how the resume sticks out amongst the other piles of resumes to attract the hiring manager and pursue him to interview you. Bear in mind, resume not just consists on how you worked, what works have you performed and what has been achieved but it also involves certain aspects that contributes in influencing the hiring manager. From the dynamics of your career to choose which job to add in the resume, which key skills to highlight, how prominently have you used it, chronology of work, proficiency, efficient portrayal of personal and professional character and precise as well as correct staging of technical skills are all essential ingredients to form a efficient and effective resume. The professional writer is very much familiar as to which important features should be placed in the forefront to impress the hiring manager and thus making a professional writer work for fruitful results is apt. In some cases it’s possible that even though having a sufficient experience you may not come across the job as the resume doesn’t exactly bring out the experiences based on the skills the new job position expects. It may not reflect the principal skills that will align with the new job offer. A resume with ample focus on experience as required for the applied job should be made to help one build strong job profile for that particular job offer. A professional writer facilitates the best effort in constructing a resume with accurate reference of experience under each different industry and aid to build a promotable job profile. To get a worthy job done from a professional writer it is essential that specific attributes of the writer be deliberated. A fine professional writer is one who analyses the history of a career accurately. The one writer who formulates a unique resume is the one that categorise and highlights the personal skills and abilities, strengths and crafts the complex career in a way that promotes the person for a job. Experience of the writer in writing field should be weighed and should also have skills that deals with vocational problems of others in writing a perfect resume. He should know how to resolve and present problematic job histories, thus these are the aspects to judge before hiring a writer. The professional writer thus is one who is very well aware and has a sufficient amount of knowledge on how to impress hiring managers of each industry in their distinctive manner. He will as a result sit and evaluate specific talents that may align and support your current skills to get into a particular job, which you may have not been attentive to. He will consequently prepare a resume depicting the real you and your competencies with the help of his writing expertise. Some talents may prove functional and can be added for extra effectiveness and the writer clearly knows how things work to impress the potential employer. Evidently, there may have been many aspects of resume writing that have gone unnoticed by you; the complexity of the resume writing can triumph over with the help of professional writers. All are not supposed to be experts in writing resumes for which such professionals are convenient. Already the employment market has proved to be highly competitive and it becomes necessary to stand out in the crowd for the best job opening available and a professional writer has the capability to craft the list of accomplishments, experience and skills in a way that it looks stylish and creative which ultimately draws attention of the potential boss furthermore lands you a job interview that you await the most. Always keep in mind the resume that professionals build up to help market you, proves worthy at all times.